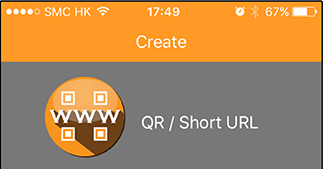 Our goal is to simplify QR codes so they are more User friendly. Anyone can then easily incorporate their use into everyday life..
Games and apps by eb-suite do not collect any personally identifiable information about you, such as your name, address, phone number or e-mail address. The app may be used to its full functionality without the need to send your information, personal or anonymous, to eb-suite. If you use eb-suite games and apps on a mobile device, including iPads and tablets, eb-suite does not use or collect your precise geographic location. However, some of the in-app advertisements may collect and use this information to provide customized content within the free version of the app. Because eb-suite games and apps do not gather or store any of your information, we do not share your personal data with other third-party companies, under any circumstance. Once the user has left the app through use of external links (i.e. Facebook, Twitter, or an in-app advertisement), eb-suite is not responsible for information, personal or anonymous, that may be collected, stored or shared by those sites. If you have any questions about how these other websites use your information, you should review their policies and contact them directly. eb-suite reserves the right to change this agreement at any time, with or without notice, with immediate and or retroactive effect.